Suzuki Car Stereo and Bose Amp/Speaker and Stereo Repair. Single CD player, CD does not operate properly, will not accept CD, will not eject, CD skips, $175. Six CD changer, Err message in display, will not play CD's, will not eject or accept CD's, gears grind, $295. Before repair, disconnect one of the car battery terminals for several minutes. This acts as a reset and may bring the changer back to working conditions. Otherwise, CD changer repair issue. 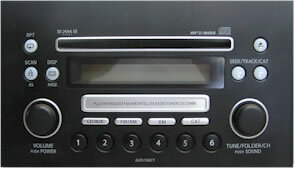 AGC-6380JA Six CD changer, Err message in display, will not play CD's, will not eject or accept CD's, gears grind, $295. Before repair, disconnect one of the car battery terminals for several minutes. This acts as a reset and may bring the changer back to working conditions. Otherwise, CD changer repair issue. ACK-1636JA / 96 550 738 Single CD player, CD does not operate properly, will not accept CD, will not eject, CD skips, missing back lights, $195. PS-2533D- D / 39101-50J82 Single CD player, CD does not operate properly, will not accept CD, will not eject, CD skips, $175. Single CD player, CD does not operate properly, will not accept CD, clicks when attempting to eject, CD skips, $175. Volume up and down does not work properly, $85. Suzuki Verona and others Suzuki Car Stereo Radio Code, see Car Stereo Codes on line HERE. 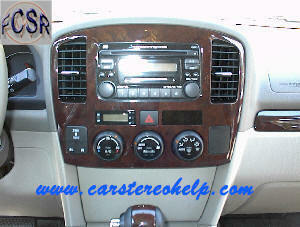 Please see Repair Rates and Car stereo help removal and installation Instructions.